July 31, 2015, 3:54 p.m.
Government has, since 2012, implemented the Ghana Partnerships for Education Grant (GPEG) to address the issue of inadequate resources to schools and to supplement the Government Capitation Grant, the Minister for Education, Prof. Jane Naana Opoku-Agyemang, has disclosed. Prof. Opoku-Agyeman said under the GPEG programme, basic schools in 75 deprived districts were targeted, adding that the Ghana Education Service (GES) had also revised the Capitation Grant Utilization Manual which, she said, outlined the grant utilization process and defined the roles of each stakeholder within the process. She said GES would soon commence the training of Circuit Supervisors on the new guidelines to facilitate the effective monitoring of the scheme. 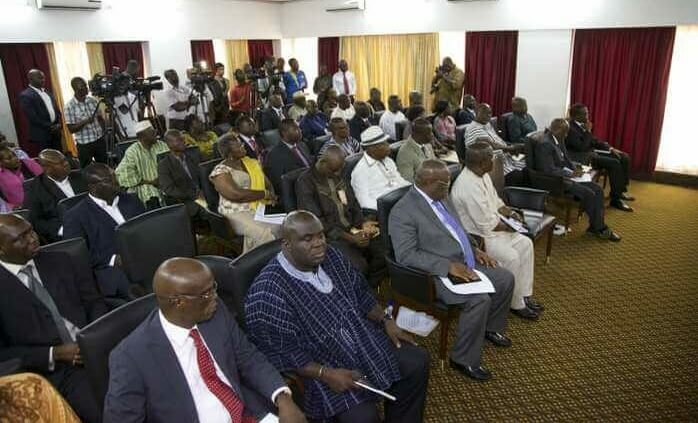 The Minister was speaking at the launch of the Citizens’ Assessment Survey Report by the National Development Planning Commission (NDPC) in Accra on Wednesday. Mr Emmanuel Seth Tekper, Minister for Finance, in an address delivered on his behalf, blamed the delay in the release of funds to the schools on the late submission and the inaccuracy of data from the schools which, he said, affected programming and budget estimates. Mr Terkper urged the Ministry of Education (MoE) and GES to enforce the publication of income and expenditure accounts on the grants on notice boards in all beneficiary schools as done in Kenya and apply the Financial Administration Act, 2003 (Act 654) and regulations in the management of the Capitation Grant Scheme. For her part, Mrs Nana Oye-Lithur, Minister for Gender, Children and Social Protection, called for teamwork and strategic collaboration between relevant Ministries in the implementation of the Capitation Grant Scheme. Mrs Oye-Lithur stressed the need for an upward review of the grant, adding that as one of the key stakeholders in education delivery and child protection, the success of the Capitation Grant Scheme was a priority for the Ministry. In a statement, a Minister at the Presidency, Mr Akwasi Oppong-Fosu, gave the assurance that government was working with relevant stakeholders in resolving the weaknesses identified by the survey in the implementation of the Capitation Grants Scheme. 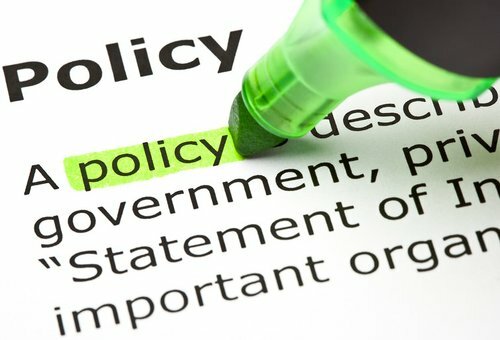 Mr Oppong-Fosu underscored the importance of the role of citizens in measuring the success of government policies and urged all stakeholders to use the outcome of the Report to effect change in the way things were done so that the citizens would derive maximum benefits from government interventions. In a statement, Hon. Mathia Puozaa, Chairman of the Parliamentary Select Committee on Education, indicated the preparedness of members of the Select Committee on Education of Parliament to interrogate this report for necessary action. Deputy Representative OIC of the United Nations Children’s Fund (UNICEF) Ghana, Ms Sarah Hague, said efficiency, transparency and accountability were extremely critical to the success of the Capitation Grant Scheme and described the Report as a first step toward carrying out a more comprehensive expenditure review of the education sector in 2016. Ms Hague said the 2014 Citizens’ Assessment of Ghana’s Capitation Grant Scheme should be central in advocating for an increase in the amount of resources that reached schools directly to prevent the exclusion of the poorest children from school. Welcoming the audience to the launch, Dr Nii Moi Thompson, Director-General, NDPC, said the Report was meant to understand what had worked well and what had not worked well with the implementation of the Capitation Grant Scheme; so that, collectively, citizens and policy makers could find solutions to the challenges associated it. 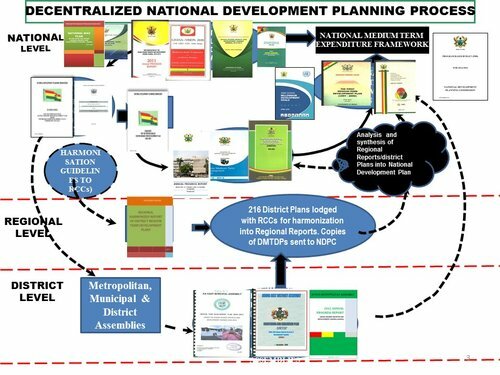 The Chairman of NDPC and Chairman for the occasion, Dr Kwesi Botchwey, who launched the Report, expressed the hope that the findings contained in the 2014 Citizens’ Assessment Survey Report on the Capitation Grant Scheme would help find a common ground on what adjustments needed to be made to strengthen the implementation and administration of the Scheme in order to maximize its benefits. The Citizens’ Assessments Survey is a nationally-representative household survey aimed at answering the questions of whether the Capitation Grant Scheme is achieving its objectives of eliminating special levies and other charges at the basic school level. The assessment, a collaborative effort of NDPC, MOE, GES and the Ghana Statistical Service (GSS), with support from UNICEF, forms part of government’s efforts to assess the impact of development policies from the perspective of the citizens of Ghana. The survey aims to determine whether the citizens have experienced an improvement in their lives with respect to specific objectives of the Ghana Shared Growth and Development Agenda (GSGDA). It is also aims to help government assess the extent to which the medium-term education sector policy objective of “increasing equitable access to, and participation in, education at all levels”, is being achieved. Two previous rounds of survey were conducted in 2005 and 2008, with the 2014 survey focussing on the impact of the Government’s Capitation Grant Scheme. For the 2014 round of the survey, a total of 2,245 households and 441 public basic schools were sampled from 151 enumeration areas and 20 districts across all ten regions, data having been collected in May 2014. The Report identifies a number of key challenges that hinder the effective implementation of the Capitation Grant Scheme at the basic school level. These challenges, the Report says, include the inadequate allocation of funds to schools; delays in the release of funds; inconsistencies in the application and management procedures; and high transaction costs. According to the Report, about 85 per cent of all households who have children in public pre-schools still pay some form of levies and charges while at the public primary school level, 75 per cent of the households indicated pay some levies and charges. The Report indicates that even amongst the poorest 20 per cent of the population, three out of four households pay levies and charges to enable them attend public basic schools, regardless of the introduction of the Capitation Grants Scheme to eliminate these charges and levies. Under the Capitation Grant Scheme, public basic schools in Ghana are entitled to receive GHC 4.50 per an enrolled pupil per academic year to be used primarily for the running for the schools.